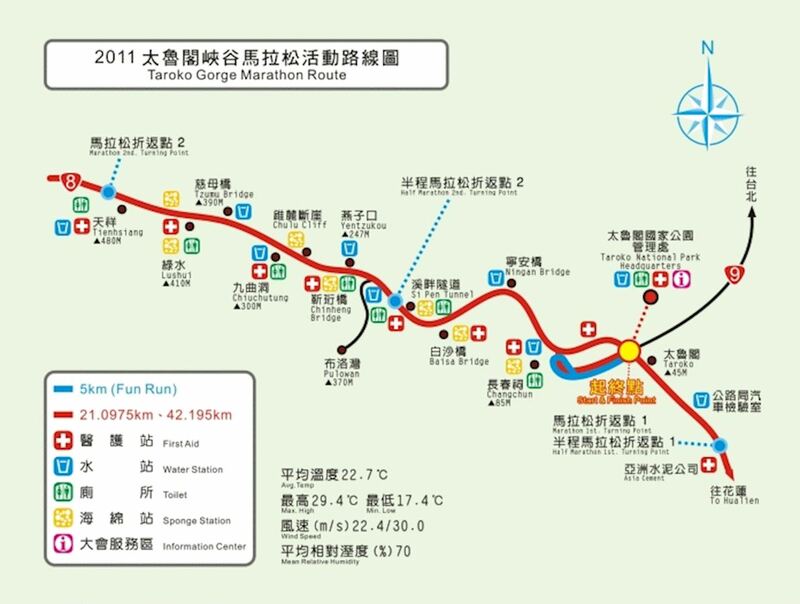 The Taroko Gorge Marathon is annually held at the Taroko National Park, in Hualien County and is organized by the Chinese Taipei Road Running Association. 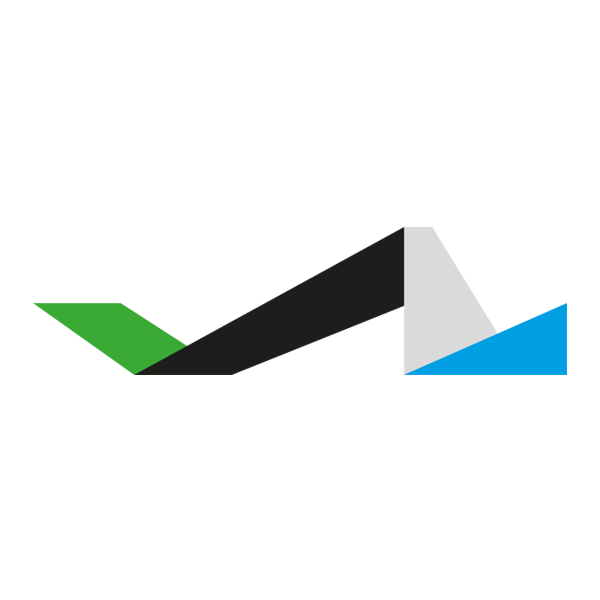 This marathon offers two racecourses, a full and half marathon. The marathon is held in November and in 2011 there were about 10,500 runners, with both of the races combined. If you wish to participate you must make sure to reserve your spot with anticipation because the spots usually sell out within a week or two.Taroko National Park, known for its magnificent view of the gorge, features the Central Cross-Island Highway, entering the archway of the Highway from Sioulin Township of Hualien, passing through the Taroko National Park Administration, Changchun Temple, Tunnel of Nine Turns, and Tiansiang, and connecting to Dayuling, turning to the branches of the Western or the Central Cross-Island Highway to end in Yilan, having beautiful scenery along the way, which are the deep valleys resulting from cutting actions of the changes in the crust and rivers together, an amazing forces of nature. Liwu River’s gurgling flow rushes under your foot, and the air is full of the most natural flavor of the original. Here is the place attracts not only the countrymen but also an endless stream of foreign visitors. Taroko National Park is really a rare gem in the world. The best way to acquaint yourself with Taroko National Park is immersing yourself in cliffs, the works of arts by nature gods.Taroko National Park organized "Taroko Gorge Marathon” in 2000 for the first time, and invited visitors in the enjoyment of the slow living attitude and the scenery of world-class attractions, by preventing any interference from annoying cars. 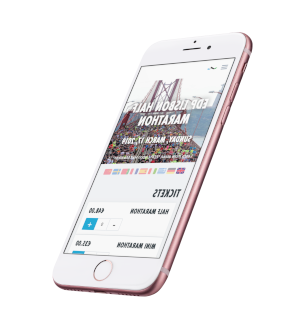 Each year, the events in the Marathon always create new tournament records, regardless of the number of participants, the nationalities of the players, and the race results. It has been an unprecedented occasion and now risen to a international tournament, attracting players from around the world and friends who love jogging to get together at here to win over and to enjoy the beauty of the national park.The activities of Taroko Gorge Marathon are divided into the groups of full marathon and of half marathon to carter to the different participants who can choose their own schedule and experience the beauty of the vast forests and mountains. 1st time to participate in 1/2 marathon . Very beautiful view, quite a lot of slightly steep way up, when return it became easier, cos it came to way down. 1st time to participate in 1/2 marathon . Very beautiful view, quite a lot of slightly steep way up, when return it became easier, cos it came to way down. Taroko National Park, known for its magnificent view of the gorge, features the Central Cross-Island Highway, entering the archway of the Highway from Sioulin Township of Hualien, passing through the Taroko National Park Administration, Changchun Temple, Tunnel of Nine Turns, and Tiansiang, and connecting to Dayuling, turning to the branches of the Western or the Central Cross-Island Highway to end in Yilan, having beautiful scenery along the way, which are the deep valleys resulting from cutting actions of the changes in the crust and rivers together, an amazing forces of nature. Liwu River’s gurgling flow rushes under your foot, and the air is full of the most natural flavor of the original. Here is the place attracts not only the countrymen but also an endless stream of foreign visitors. Taroko National Park is really a rare gem in the world. The best way to acquaint yourself with Taroko National Park is immersing yourself in cliffs, the works of arts by nature gods.